Accountability- Take responsibility for your actions. "Your life will be no better than the plans you make and the action you take. You are the architect and builder of your own life, fortune, and destiny." 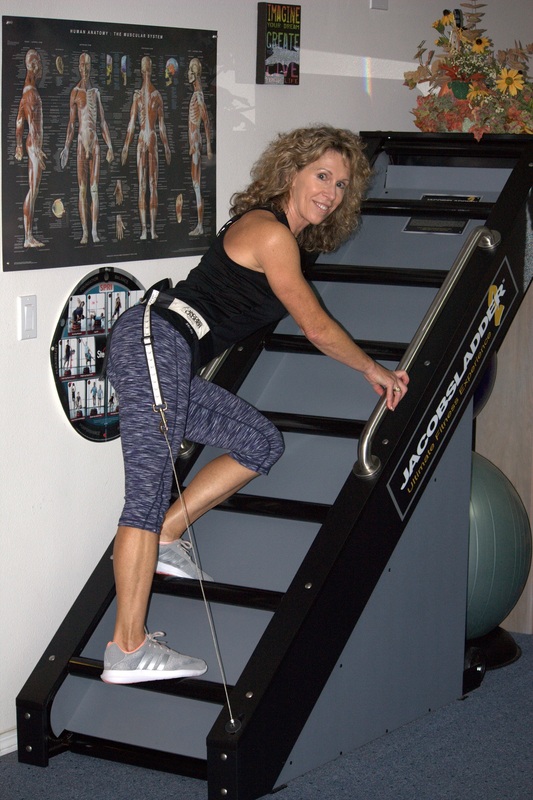 This private studio is complete with top of the line fitness training equipment including Jacob's Ladder, standing and seated elipticals, TRX, cardio rope, and functional training equipment. 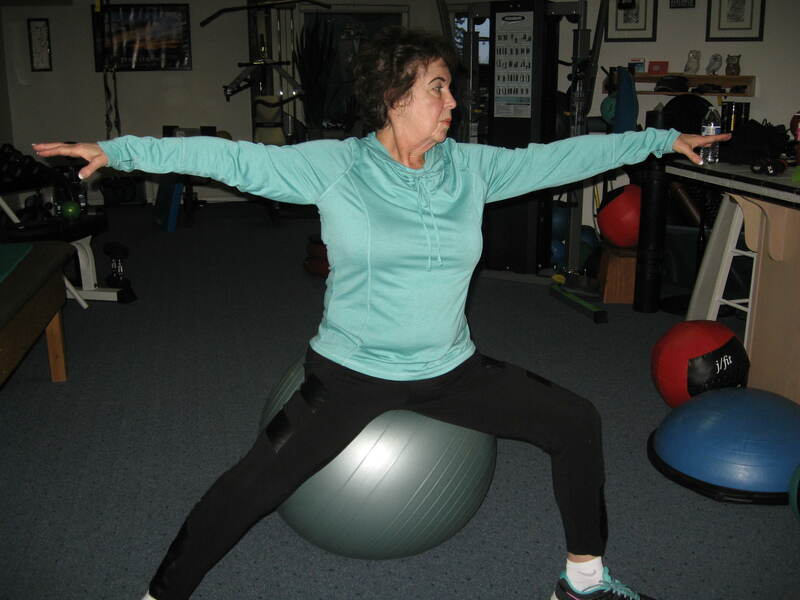 We use fitness balls and equipment to work on core strength, essential for a healthy back and posture! 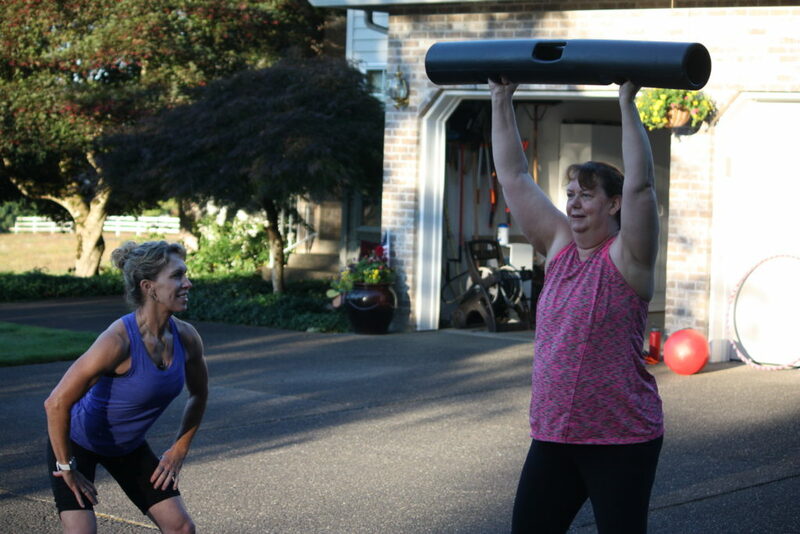 Women of all ages, shapes and fitness levels will find comfort and support for their fitness and weight loss goals at Fitness With Purpose. 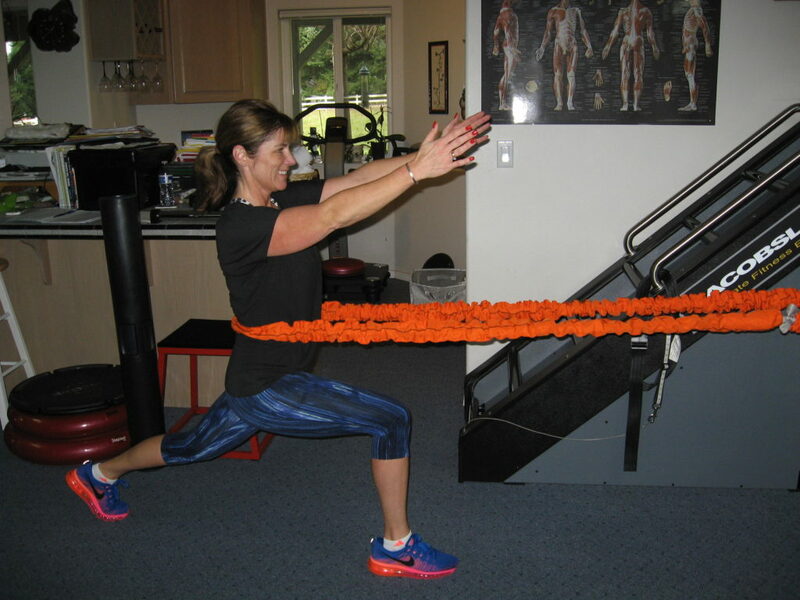 We work on whole body fitness, while targeting specific muscle groups for best results. My training fees are lower than a club or gym and I have more than 20 years experience! Spacious 1,000 square foot in-home private studio with 1 on 1 training and small group sessions with focused attention and no distractions, crowds or pressure sales. Top of the line cardio and strength equipment including Precor Standing Eliptical, Octane Fitness Seated Eliptical, JacobsLadder, TRUE Treadmill, H2O Fitness Water Rower, and JumpSport Trampoline. Also, Functional Training Equipment including PROVITAE Vibration Machine, Paramount Cable System, TRX, BOSU, CardioRope, Punch/Kick Bag, VIPR, Kettlebells and Sandbells, plus much more! 1st– You fill out a fitness history questionnaire and we go over any questions, physical concerns or limitations you may have. 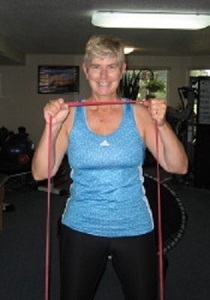 2nd– I do a body assessment to observe basic movements and see if there are any tight or weak areas. I check on your balance, and also get an idea where your current fitness level is. 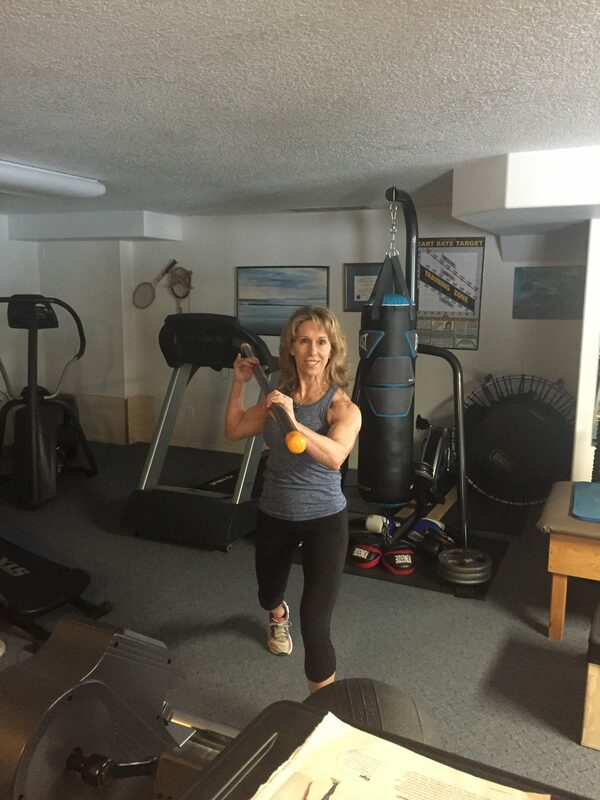 3rd– We discuss your Fitness and Nutrition goals and prepare an action plan. I will design programs for your home, gym, or office. Effective and focused work-outs ranging from 30 minutes to 60+ minutes depending on your schedule and fitness level. Individual attention is given to each person’s ability, proper technique & performance for maximum results. 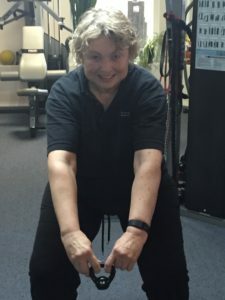 Contact Gale to answer any questions and find the fitness and nutrition program that works for you! 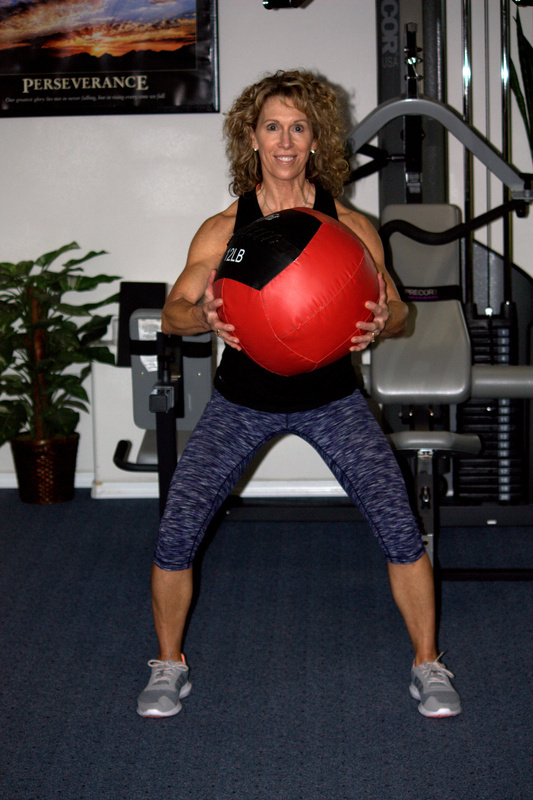 I'm looking forward to working with you to design your customized fitness training program! If it is to be, it's up to me!